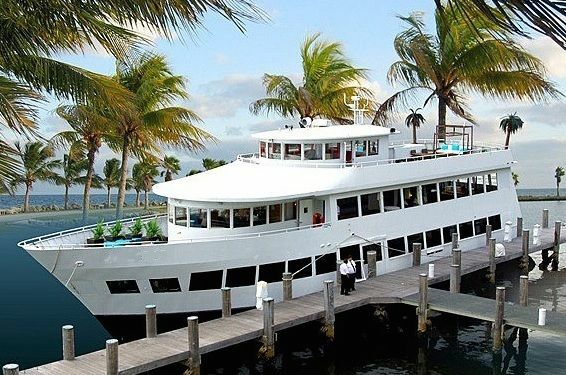 If you’re looking for the ultimate party vessel for an unforgettable boat party, this theme yacht encompasses the luxurious atmosphere of a tropical charter yacht, while resembling a south beach night club and a boutique art-deco banquet space. 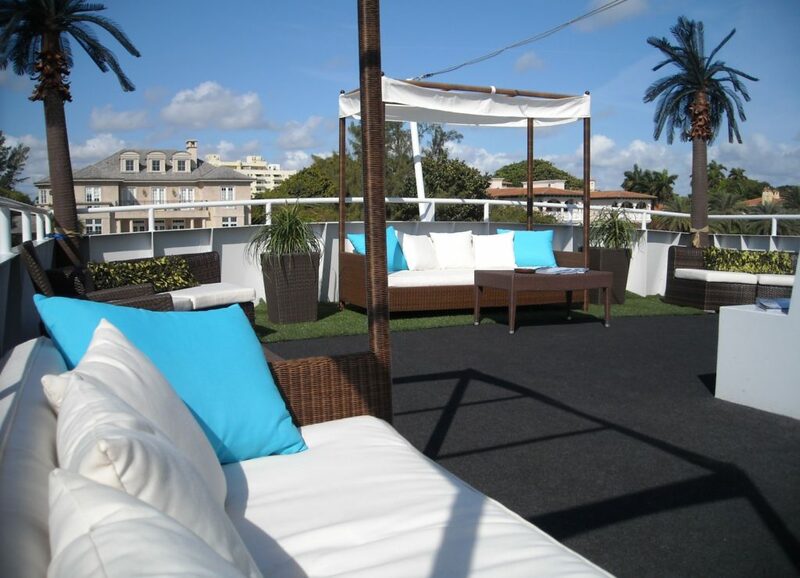 Cabana beds and jumbo palms on the top deck are the main attractions, with flexible cruising from Miami to West Palm, perfect for all occasions and groups of 50-300. 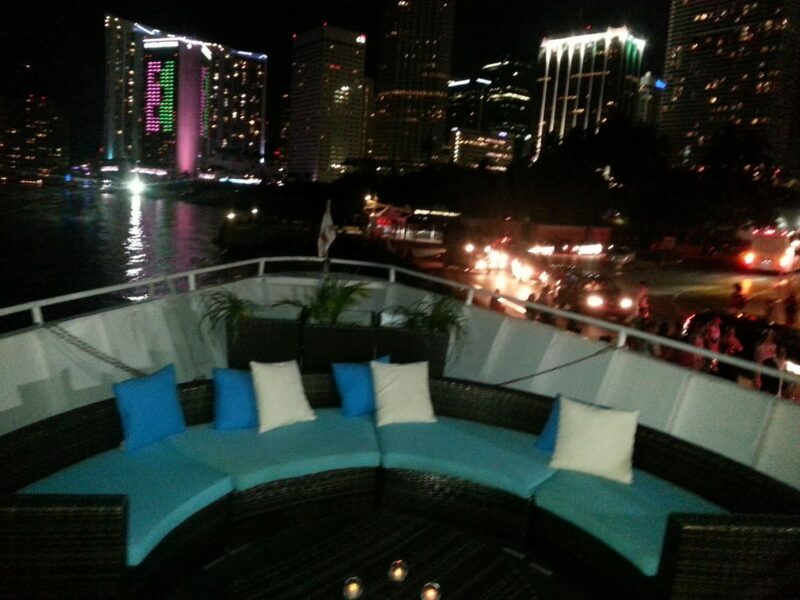 (Maximum capacity is 380) Yacht is also very popular for upscale DJ parties in Miami during Winter Music Conference, Ultra Fest, and Carnival Columbus Day Weekend. 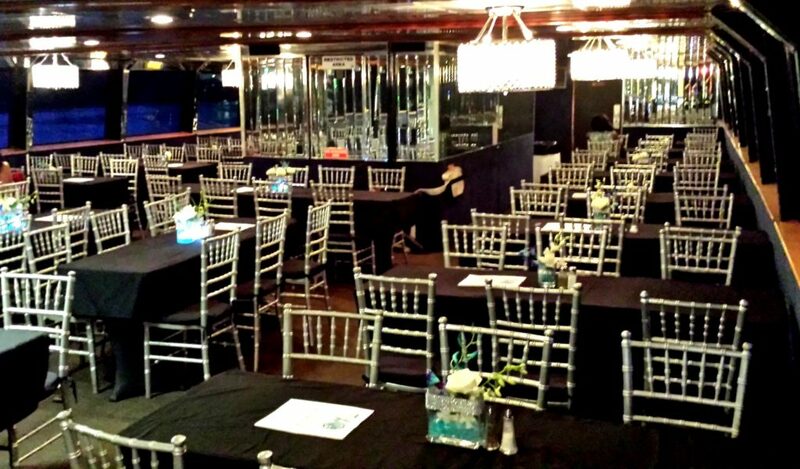 Three very unique decks allow your guests to enjoy multiple themes throughout the venue. 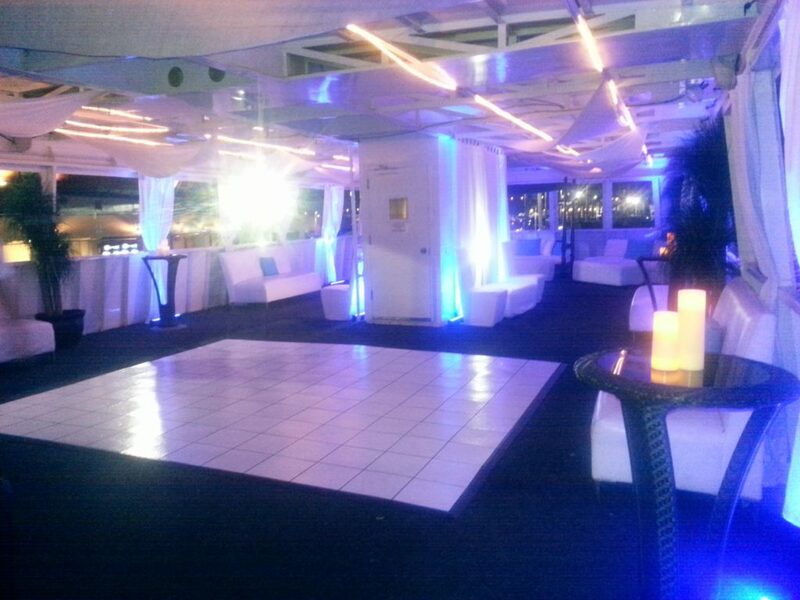 From crystal chandeliers in the art deco dining room, to a South Beach themed all-white dance lounge with glowing DJ Booth, and tropical outdoor cabana deck, this outstanding party boat has something special for every occasion and is truly the most unique vessel in South Florida. 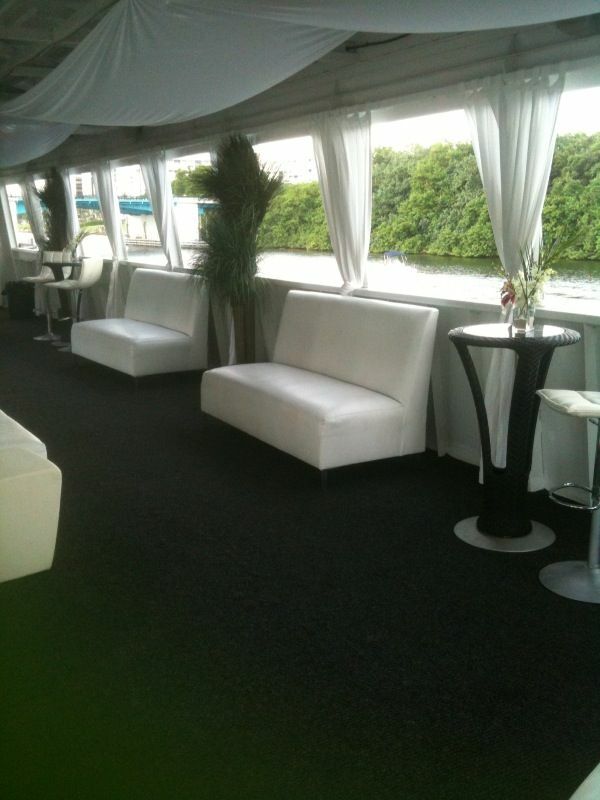 We will help you organize the full luxury party yacht experience! 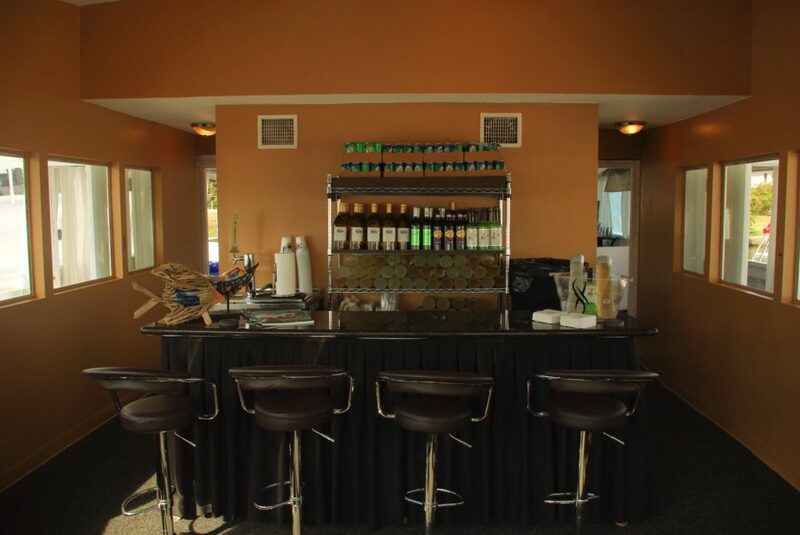 Want to throw a party or corporate event? Want to try a unique luxury cruise? 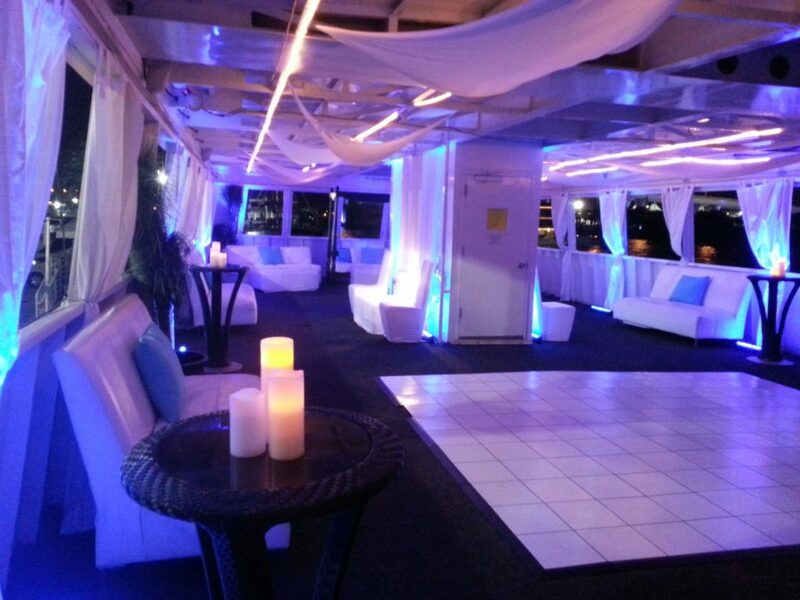 Contact us to find out how we can make your yacht party a night to remember. 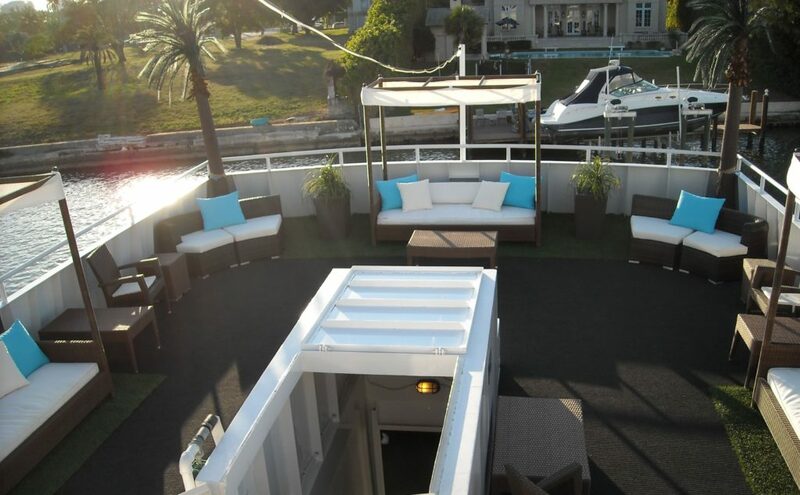 Any accommodation can be added to make your party boat experience more amazing. We can have a private catered dinner arranged by some world class chefs. We can arrange a hummer limo, private helicopter tour, or hire a celebrity for you! Who is this party boat experience package for? This experience is for people who prefer a more leisurely, exotic party boating trip over something like a race boat experience. The length the tour depends on your specific needs, but tours are normally not overnight trips. Contact us today for more details, and to learn about other experiences you can include as well!